Malcolm L. MacGregor is a founding partner in the law firm of McDonald & MacGregor, LLC, in Scranton. Malcolm offers 25 years of experience in the trial and settlement of significant personal injury cases, helping to put lives of injury victims back together. A graduate of the University of Scranton, Attorney MacGregor earned a Bachelor of Arts in Communications in 1986. He went on to complete his legal studies earning his Juris Doctorate from the Catholic University of America, Columbus School of Law, in Washington, D.C., in 1989. Mr. MacGregor currently served as the immediate past president of the Lackawanna Bar Association, Pennsylvania Bar Association and is a 2200 member of the Statewide Trial Lawyers' Advocacy Organization. He has mentored through seminars, publications and presentations for fellow attorneys and those in litigation-related fields on behalf of The Pennsylvania Association for Justice, The Pennsylvania Bar Association, The Lackawanna Bar Association, The Northeastern Pennsylvania Trial Lawyers Association, The Committee for Justice for All of Northeastern Pennsylvania and The National Business Institute. 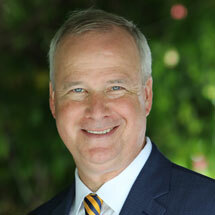 An active member of our regional legal community including the Lackawanna, Luzerne, Monroe and Pennsylvania Bar Associations, Mr. MacGregor is also recognized in Best Lawyers in America, 2015-2016, an Invitee, Million Dollar Advocates Forum, for Attorneys Settling Cases in Excess of One Million Dollars; inductee, Top 100 Trial Lawyers, by the National Trial Lawyers and has been recognized as a Pennsylvania Super Lawyer by Law & Politics/Philadelphia Magazine. Attorney MacGregor has served as the chair of the Pennsylvania Bar Association's Civil Litigation Council. He is also a past president of the Federal Bar Association's Middle District Chapter and a court appointee to the Lawyer Advisory Committee of the United States District Court for the Middle District of Pennsylvania. Malcolm is a husband and proud father of four children, and an active youth athletics coach and community volunteer, and can be reached at [email protected] or 570-209-0762.